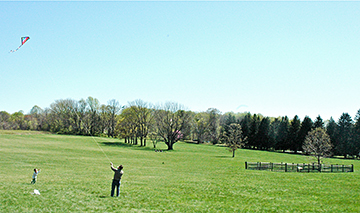 HIGH AND WIDE: Spring comes to the Princeton Battlefield, bringing trees young and old back to life. Other youngsters: the Mercer Oaks offspring on one side, the kite-flyers on the other. Representatives of Westerly Road Church came before the Princeton Regional Planning Board last week to make their case for constructing a new church building on Bunn Drive in an area known as Princeton Ridge. At its Monday evening meeting Township Committee approved the introduction of the 2010 municipal budget. With the ability to survive for weeks or even months without feeding on mammalian blood and a life span of an average of 10 months, the tenacity and longevity of bedbugs make them formidable opponents when it comes to getting them out of your home. Borough Engineer Chris Budzinski estimated that the Harrison Street Park Construction project is about 60 percent complete, with final paving and landscaping on the docket for the upcoming weeks.